Home › Insurance › John Hancock’s Accumulation IUL with Vitality & Retirement Planning – A Powerful Solution! 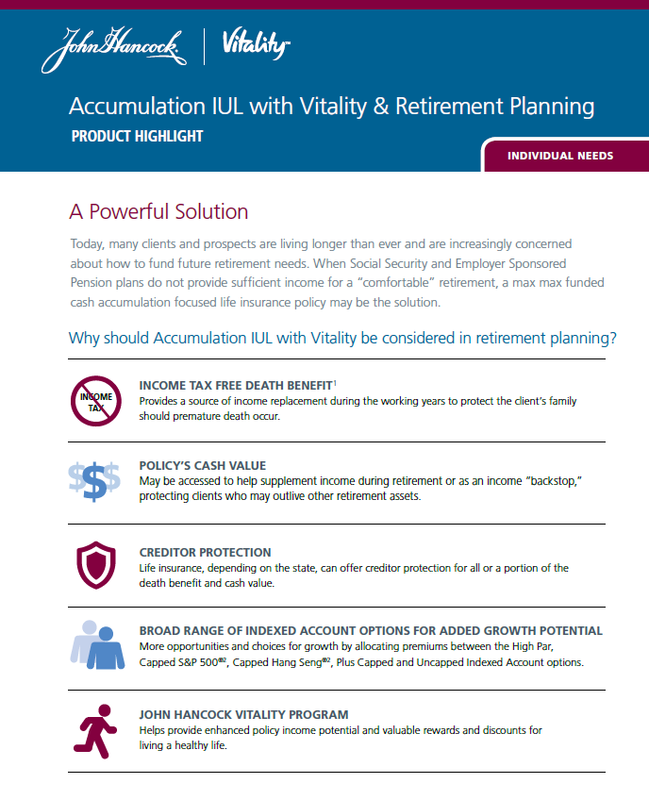 John Hancock’s Accumulation IUL with Vitality & Retirement Planning – A Powerful Solution! 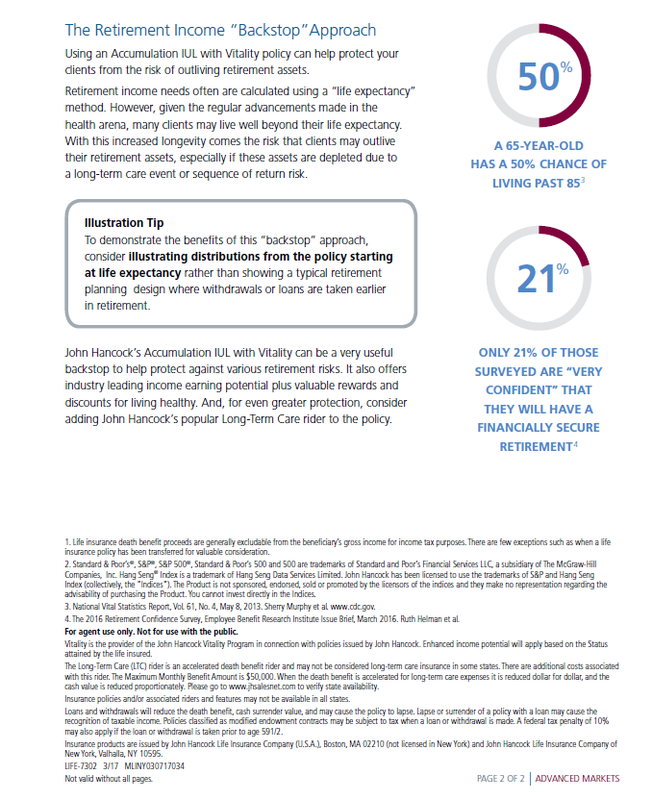 JOHN HANCOCK’S ACCUMULATION IUL WITH VITALITY CAN BE A VERY USEFUL BACKSTOP TO HELP PROTECT AGAINST VARIOUS RETIREMENT RISKS. IT ALSO OFFERS INDUSTRY LEADING INCOME EARNING POTENTIAL PLUS VALUABLE REWARDS AND DISCOUNTS FOR HEALTHY LIVING. AND, FOR EVEN GREATER PROTECTION, CONSIDER ADDING JOHN HANCOCK’S POPULAR LONG-TERM CARE RIDER TO THE POLICY! ‹ Regence Enables Online Medicare Supplement Applications to Be Attributed to Agents!